1 ¤ He's the prototypical old man manager. 2 ¤ He has never aged. 3 ¤ He goes by a rascally nickname and has a smile to match. 4 ¤ He's a winner, not just on the baseball field but at the baccarat tables in the back of seedy Chinese food restaurants. 5 ¤ His wrinkles are as deep as poverty levels in Detroit and resemble the stripes of his beloved Tigers. 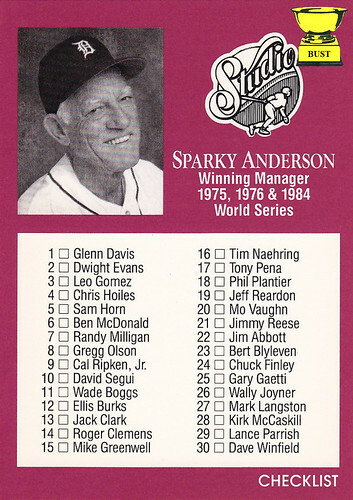 You can check it off: Sparky, a manager's manager.